Best in class epoxy, decorative concrete, polished concrete and stained concrete! Welcome To Palm Beach Epoxy Pros! We’re so excited to serve our customers by providing the Best Epoxy & Polished Concrete Floors in West Palm Beach and Palm Beach County! We hope that our website is informative for you. Epoxy: It Rocks! Here’s the process- test the floors for moisture and density, complete a full surface prep including filling any cracks, grind the concrete with diamond blades to make it porous, finally we lay down epoxy in any style you want totaling a minimum of 3 coats with membranes of metallic, flake, quartz and so on. End result, Awesome Floors that will last a lifetime. The process is similar for polished, stained and decorative concrete. We have a lot more information on epoxy flooring HERE, including designs, cost and more. We take a huge amount of pride in our work and would love to team up with you on a project. The cool thing is that more homeowners living throughout the broader Palm Beach, FL, community have discovered the lasting beauty and functionality of epoxy flooring. Traditionally used in industrial applications, more houses today rely on these durable and cost-effective surfaces. From converting your garage floors to a vehicle showroom, to a safer, healthier place to prepare meals, you would be amazed at how versatile epoxy systems remain. And when you choose the experienced team of local installation professionals, it means saving on a higher level of quality. At Palm Beach Epoxy Pros., we offer advanced flooring solutions at affordable rates every day to both residential and commercial consumers. More consumers know that when you need a better choice than hardware store displays, we offer the unique finished products that benefit you the most and will last you for centuries. When traditional tile, wood, and carpet aren’t enough for your preferences, we offer an ideal way to save on superior surfaces. See why we are still the trusted choice for epoxy floors and more. Epoxy flooring is one of the best flooring systems you can install over a concrete subfloor. This flooring option will provide you with a functional and aesthetically beautiful high gloss floor that is easy to clean and maintain and will last for a long time. If you purchase a house or a business, you want people to feel good, like they are in a unique space. That’s when you call Palm Beach Epoxy Pros. And more expert flooring solutions. When you need to go beyond typical flooring options, we can help you save on a higher quality of service. See why more homeowners turn to us for advanced floor installations today. Palm Beach Epoxy Pros does it all. Concrete is an extremely durable and tough flooring material. It can also withstand heavy loads of cars and heavy equipment. When used for residential applications, concrete floors can withstand damage that may be caused by furniture legs, pet scratches and even high heeled shoes without scratching. Polished concrete flooring takes a traditional slab flooring and takes it to the next level. We use a variety of expert tools and equipment to leave you with unique, glossy finishes that last a lifetime. You can choose the level of sheen you desire for polished concrete. Cut glass, chips or flakes and colors can be added for a unique look. Acid stains and concrete dyes can also be used to achieve the desired look. Polished concrete is durable because when polished, concrete becomes stronger. The polished concrete makes small spaces appear larger because it reflects light. Polished concrete is great at stain resistance and it will not chip, dent or flake. It offers an attractive floor similar in appearance to terrazzo or marble but is resistant and low in maintenance. Maintaining polished concrete only includes wet mopping and buffing with a dry cloth to retain its high gloss finish. These seamless floor systems create a healthier, cleaner home as it eliminates the need for grout. Dust, dirt, pollen, and other allergens have nowhere to run, and daily sweeping keeps your surfaces clean. A polished concrete floor does not use any new material to create a new flooring system because it simply polishes existing concrete. This flooring option also does not require any further waxing preventing any carbon footprint. Polished concrete is a hypoallergenic flooring solution because allergens such as dirt, dust, pollen, and other allergens will have difficulties sticking to the surface. Like standard concrete systems, you also have plenty of room for customizability. From shimmering high-gloss surfaces that mimic marble, to rougher, industrial floors, we offer it all for less. The application of polished concrete requires expertise and specialized top of the line equipment. If you need floors that remain simple to maintain and easy to clean, you won’t find a better choice. See why more homeowners prefer polished concrete floors today. Call Palm Beach Epoxy Pros for a free estimate. We do it all baby. Solid color, flake, metallic, decals. Let’s make your garage the talk of the town! The average home still uses its original concrete slab for garage flooring. However, you don’t have to settle for cold, gray concrete and old oil stains any longer. Our epoxy flooring systems convert any standard garage into a vehicle showroom. Not only will your surfaces appear better than ever, but they’ll remain more durable as well. Epoxy Garage floors are a masterpiece. Not only are they amazing looking, but the epoxy is so durable that it will increase the value of your entire home. Here are some of the benefits of having an epoxy garage flooring system. Epoxy is a mixture of resins and hardeners that chemically bond together to create a durable and tough floor coating. Epoxy garage flooring prevents the buildup of dust, dirt and chemical stains making it easy to clean and maintain the flooring system. Thin epoxy coating is able to fill up small pits and cracks in the concrete subfloor. A thicker epoxy coating can hide minor concrete floor imperfections. Epoxy garage flooring is resistant to abrasion. Dropping heavy tools on the floor will not cause it to chip or crack. Epoxy garage flooring systems are available in a wide range of colors and blends to create an appealing design you desire. Over time, standard poured concrete cracks, splits, and crumbles, and fluids quickly sink into its pores. With a hardened epoxy resin coating, however, nothing will stain or harm your floor again. These unique flooring systems can take on any number of colors and patterns, and they remain simple to clean as well. For your new garage surfaces that won’t quit, call us for your epoxy installations. While many poured concrete projects can get completed at home, they often get finished rough. How can you enjoy professional-grade completions that stay smooth and even? 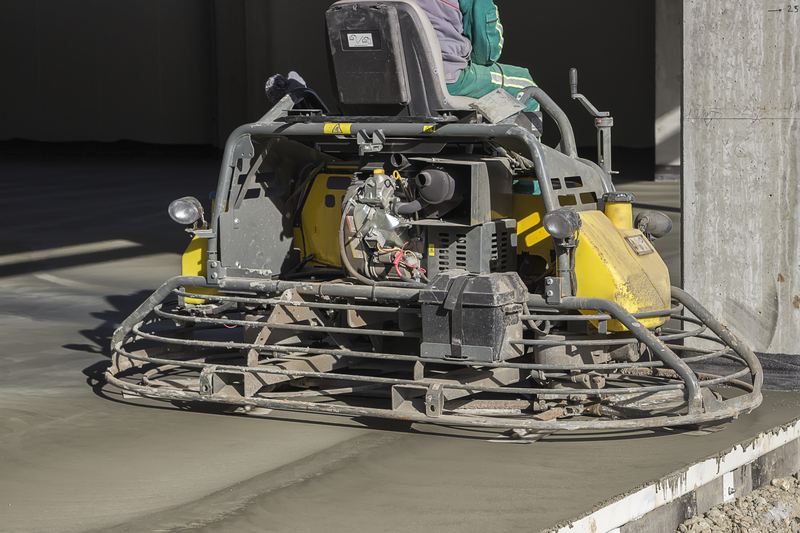 Concrete grinding has a variety of applications, but few contractors seem to offer them. Our team, however, continues providing expert quality results every day. Concrete grinding is the process of creating a smooth and even concrete surface with the use of a diamond grinding machine. Concrete grinding is the most important step in the installation of any concrete flooring option. Click here to learn more about concrete grinding. Whether you are going to install an epoxy flooring system, polished concrete, epoxy garage system or decorative concrete, proper concrete surface preparation needs to be done. Concrete grinding done the proper way will prepare the concrete subfloor for the successful installation of any flooring system. Proper concrete grinding ensures the easy, fast and successful installation of a new flooring option because it makes sure that the concrete subfloor is smooth, even and free of any contaminants that can cause the installation failure of the new flooring system. From preparing interior flooring systems to creating unique outdoor walkways, we can complete any design ideas you have in mind. Whatever concrete grinding solutions suit you best, we offer it all for less. You no longer have to depend on old rental gear and a good enough mentality. See expert grinding for any surface today with our team. Stained concrete can spice up any concrete slab. Stained Concrete provides an exceptionally neat alternative to the commonly used carpets, linoleum, stone, tile, marble or wood flooring options. Concrete is not only tough, durable and easy to maintain but also offers a wide range of choices in terms of colors, patterns, textures, finishes, and designs. If your home already has an existing concrete surface subfloor our at Concrete Contractors can help you create a unique and highly appealing flooring system that is environment-friendly and affordable. Concrete flooring materials are free of any volatile organic compounds (VOCs) making them environmentally friendly and safe. Concrete floors are extremely durable but can become dull and boring over time. It is time to create a new look for your concrete floors. Palm Beach Epoxy Pros can help you transform your concrete floors into stylish and classy floors that are extremely durable and requires very little maintenance to keep its luster. Concrete floors have today become a popular flooring solution for many homes and businesses. 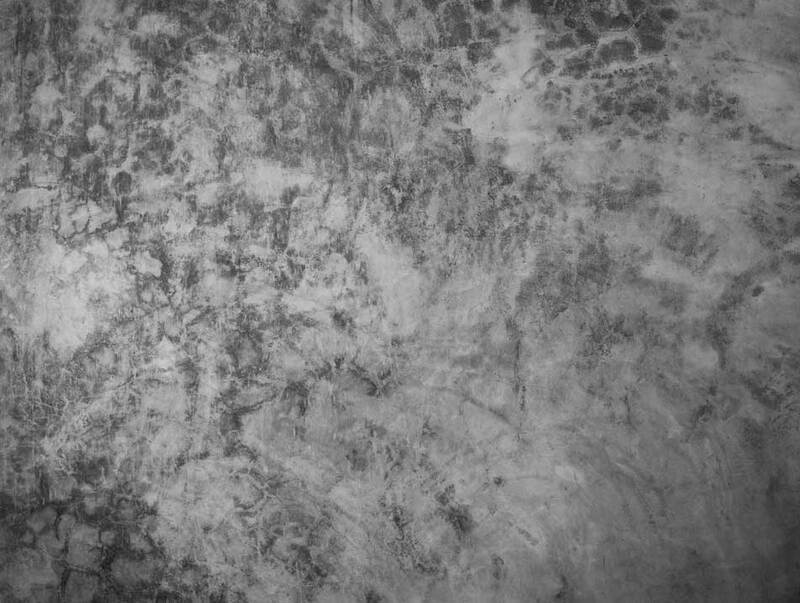 Concrete comes with a natural and unique beauty. It can be further brought to life by adding different coloring and finishing techniques. Palm Beach County is a perfect environment to bring your concrete floors to life by customizing your floors based on how you envision it to look. There is no limit to the designs and color palettes you can use. We can help you customize your concrete floors so it will blend well with the interiors of your home and fit the purpose and look of the space. No matter what your epoxy concrete flooring needs are, we will do it right the first time without any shortcuts and at an affordable price. We can also very well work within your budget to provide you with a concrete flooring system that will be an envy of many. While concrete is one of the toughest and most durable flooring materials they need to be protected to make them beautiful and last for long years. All of our staff at Palm Beach Epoxy Pros have the proper training, expertise and experience to do just that. Call us now for a free estimate of your concrete flooring project. Being an excellent option for concrete, epoxy flooring from Palm Beach Epoxy Pros will create a seamless floor coating for your needs. Whether it’s for your garage, locker rooms, showrooms, hospitals or manufacturing facilities, we will provide an overall durability and stability that epoxies are known for. Our team of experts is ready to install these epoxy coating systems with comprehensive strength, abrasion resistance, as well as chemical resistance properties. While some epoxy flooring companies tend to be one-sided on certain brands, Palm Beach Epoxy Pros Epoxy Pros would always provide you with only the highest standard for your epoxy flooring needs. Our honest and trustworthy craftsmen will not hesitate to recommend the best epoxy concrete floorings that best suit your needs while working within your budget. Click Here to learn more. 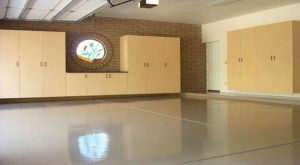 There is no other concrete flooring company like Palm Beach Epoxy Pros Epoxy Pros who understand your needs and offer you the best service in Palm Beach Epoxy Prosareas and other surrounding neighborhood.